With its second official release ‘’Sci-Fi Weapons’’ Sound Response brings you a cutting edge, hi-tech weapon sound effects collection ready for unleashing cybernetic hell! Months of field recording and sound design yielded 400+ high quality futuristic weapons sound effects. 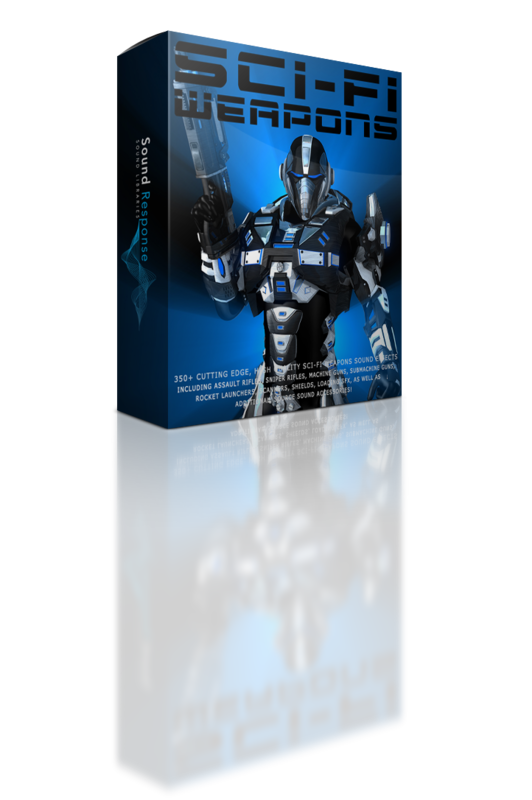 A must have for anyone working on a video game, movie or any other project containing futuristic combat action scenes. With Sci-Fi Weapons at your disposal you’ll have one of the most powerful and advanced futuristic laser weapons audio arsenals out there!